Susan Feniger is one half of the popular “Too Hot Tamales” along with her longtime business partner Mary Sue Milliken. Almost 30 years ago, the two chefs opened CITY. Next came Border Grill in Santa Monica, California and Mandalay Bay Resort & Casino in Las Vegas, and then the Latin themed Ciudad in downtown Los Angeles and the Border Grill Truck. 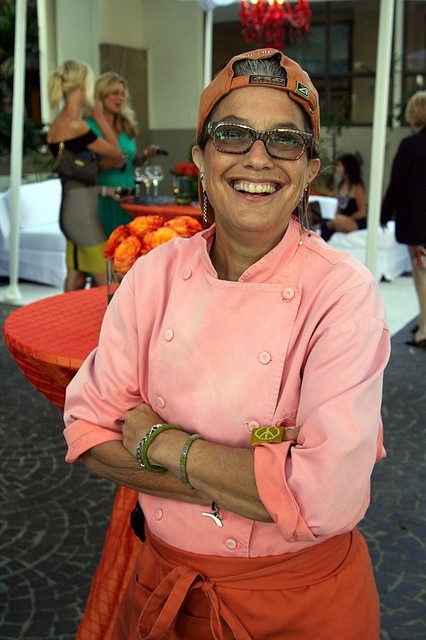 With the opening of Susan Feniger’s STREET in Hollywood in 2009, the celebrated chef launched her first solo venture. Feniger’s dream of creating a unique restaurant inspired by the authentic flavors of street food was fulfilled. A veteran of 396 episodes of “Too Hot Tamales” and “Tamales World Tour” series, Feniger also co-authored five cookbooks with Milliken–City Cuisine, Mesa Mexicana, Cantina, Cooking with Too Hot Tamales, and Mexican Cooking for Dummies. Her new book is Susan Feniger’s Street Food. She has been on the board of the Scleroderma Research Foundation for 17 years and also serves on the board of the L.A. Gay & Lesbian Center. I sat down with Chef Feniger to discuss her new book, STREET restaurant, and her philosophy on cooking.